Chelsea were a yard unlucky last weekend when they lost their lead over Liverpool at Stamford Bridge with just three minutes left on the clock, their former player, Daniel Sturridge came off the bench to score a belter against them for their second consecutive stalemates in the league after previously going five without dropping a point. Eden Hazard could have sealed the win when he broke away but managed to miss with only Allison to beat. Southampton aren't looking the part this season, not like they did last season and in fact they aren't exciting to watch, a bit too pedestrian and they largely depend on one spark or two every game day, you won't cope with elites like that. Wolves dispatched Southampton cleanly last weekend and they don't look like they will find joy here either, in fact they have lost their last five encounters with Chelsea and this will definitely continue the trend. Chelsea may have to stop trying to help Alvaro Morata if they want to win games, they could have beaten West Ham if Eden Hazard wasn't trying to help the Spaniard get on the score sheet and again last weekend he wasn't needed as Olivier Giroud could have scored the late chance the former Real Madrid forward fluffed; Southampton don't score too many goals, they used to know how to defend but since shipping Van Dijk out, they seem to have lost their way defensively. 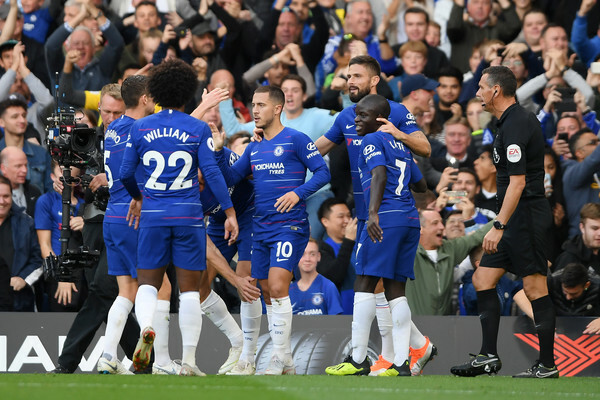 Chelsea will set up to attack everything in sight, Southampton doesn't stand a chance, but if they do find themselves behind Chelsea's defense, they had better take that chance.